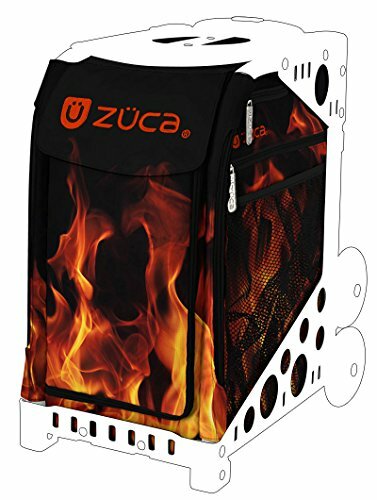 This item is just the insert bag portion of the Zuca Bag & Frame combination. It features durable, water-resistant 600D polyester and a ton of storage space. From the incredibly spacious interior to the zippered internal and external accessory compartments. It's the perfect companion for work, school and play! The insert bag is constructed from 600D water-resistant polyester and can withstand the rigors of everyday use. Kids will love it since it can easily store and transport all of their books, without straining their backs. Adults will love Zuca too, as it makes for a great travel companion on vacation or business trips. The interior is vinyl coated for added protection and the entire bag is machine and hand washable. If you have any questions about this product by ZUCA, contact us by completing and submitting the form below. If you are looking for a specif part number, please include it with your message.